The Anastasia Beverly Hills Modern Renaissance Palette ($42) is a new 14 shade eyeshadow palette that launched for Summer 2016 which is made up of mostly matte finish eyeshadows. 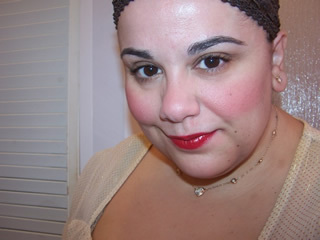 This is a pretty unique shade as it contains both warmer neutrals and stronger pops of not only pink but red. I feel like red is a color that doesn’t get nearly enough airtime here in the US so it is nice seeing it in this particular palette. The contrast of the neutrals combined with the richer pinks, reds, and oranges makes for a very exciting range of shades. The fact that many of the shades are matte might be exciting for some makeup lovers as well. The palette comes housed in a velvety compact much like we saw from the original Urban Decay Naked Palette. I actually don’t love this packaging as it does end up collecting lint and dirt easily and it’s difficult to clean it. The palette also contains a mirror and a double-ended eyeshadow brush that was quite well made and handy for applying and blending shades. The eyeshadows are made within the USA and weight in at 0.02 oz each for a total weight of 0.28 oz. Past palettes such as the Artist Palette was $30.00 at 0.30 oz with 12 eyeshadows and the Amrezy Eyeshadow Palette which was $29 at 0.25 oz with 10 shades. 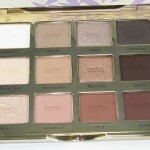 This contains more variety of shades but the price is considerably higher compared to past palettes. I happen to be one of those people that thinks mattes are mostly made up of neutral, natural shades. You have to admit few brands, including Urban Decay and Too Faced, create mattes that are extra bold and vibrant. I think that’s what makes the Anastasia Modern Renaissance Eyeshadow Palette a fairly unique palette because not only does it have some incredibly bright, bold shades of berry and orange but takes the initiative to combine those vibrant shades with some pretty standard matte neutrals. 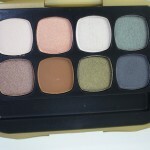 A majority of this palette is made up of matte finish eyeshadows all of which performed exceptionally well. I worried that a combination of the matte finish and incredible pigmentation would result in patchy application but I experienced no problems. Honestly, they felt a lot like Lorac’s buttery textured eyeshadows from the Pro Palette Collection. They were very, very soft in consistency and there was some powdery kick up but I experienced no issues with fall out and each shade applied positively dreamy on my lids with an excellent wear both with and without primer on my drier eyes. As advertised, these are indeed highly pigmented but I had no problems with any of the shades staining my lids. I did worry about this as some of the shades are very, very pigmented! It’s a funny thing because although a Summer release these shades feel very Fall-like but have no fear as there are plenty of Summer looks to be hade here as well. I used Red Ochre and Primavera as well as Realgar to create a warm, Summery sunset look below. Overall, gives a new and exciting spin on neutrals with gorgeous, pigmented pops of reds, berries, and oranges. This palette is a must have as not only is it unique but truly stunning and will be a beautiful addition to any makeup lover’s collection! The Anastasia Beverly Hills Modern Renaissance Eyeshadow Palette is available now at www.anastasiabeverlyhills.com and will also be launching shortly at Sephora.com and Ulta.com. Yayyy Muse Approved! As if I wasn’t excited enough :D! I’m assuming the price increase is due in part to his being permanent, and therefore included in many sales. That and because we’ll buy it anyway lol. Great to hear that the shadows perform well. And that’s a very pretty look on you! It’s very very very nice, Jay 🙂 I think you’ll like! Thank you! <3! Thanks for your review and the shades look pretty on you. Is the palette made in USA? Also, do you have the net weight of the palette listed on the box? I really like the colors. Thanks Muse. hi Maria that’s all listed in my review. I discussed the price, the amount you get, and also where the palette was made. Hope this helps! Thanks Muse. I missed it. I guess my eyes are sleepy right now. I am waiting for Ulta to have it so I can use my points. Thanks for the review! I’m getting it as soon as Ulta has it (points to use). I like your summery look, but would love to see a couple of fall looks you could come up with, for inspiration. Red eye shadow and dark pink can be tough to use correctly — too much or in the wrong place and it looks like one has pinkeye, but I love a hint of it like you showed in your TF PB&J palette review. Thanks again Muse. You are a very sweet person. Aw my pleasure Maria <3! I agree, This is a gorgeous pallette! Got to play with it a little in-store and the colours are just stunning! From the photo of the palette itself, I had no interest, but your swatches have me more intrigued. Seems more wearable than I originally though. I actually think this would be really flattering for my blue eyes. I have brown eyes like Da Muse, but agree with you Dora that it would be stunning on blue eyes! If the outer covering is similar to the velvety fabric that the It Cosmetics Naturally Pretty Vol 1 and 2 Eyeshadow palettes are made out of, try giving it a good coat of spray on fabric protector or suede protector before you use them. Shadow residue dusts right off. I want it so badly, but I’m on a self-imposed – sense-imposed, rather – limit of six palettes through this year and have already bought two and want Lorac 3 🙁 So that leaves three more palettes with Fall and Holiday collections coming up. Ugh! I’ll buy if I get a coupon, or if I do something great at work, as a reward to myself. good luck my dear! So hard being on a no buy! You can do it! Are the Venetian Red, Golden Ochre and Tempera shimmery or completely matte? I know it says on the site that they are matte but in your pictures they kinda look shimmery? Maybe it’s just the lighting? no shimmer, all matte, it’s just the lighting sorry! This has quickly become a staple for me. I’ve used it three times now. I am normally a bright shadow kind of gal, but this palette speaks to me. I’ve been loving throwing Primavera or Vermeer all over the lid with one of the mattes in the crease (Buon Fresco with Vermeer and Raw Sienna with Primavera) and then blending one of the more red shades into the crease color. It creates such a nice blown-out, blended look. I feel like a princess every time I wear it. I was worried it would be too warm for me, but it is well-balanced. I couldn’t believe how nicely everything blended, too. Yep, this one is on my buy list! I’m a big magpie, so my collection is full of shimmery and sparkly shadows, but short on mattes. Matte ( or mostly matte) palettes are SO rare, and most of them are either iffy quality and/or SO boring and basic that they put me to sleep. But this one looks like great quality, with interesting, bold colors. Needs to try! you have a pretty face! Put more color on you, muse, you’re a pretty girl! I would like to see you doing a smoky black eye, or even rainbow eyes – it would make you stunning – and make us more confident to do too! I was already going to get this but you have officially sold me on this palette. This right now is a need and not a want. Wow I was already like “ok I need this” and then you compared it to the lorac pro palettes…which are my favorite eyeshadows. I was like yup, where’s my card…please tell me this is still available…I wonder if it will come in store to Ulta? Hope you got lucky Amber! update: I went the very next day (saturday) lol because online it said it was in stock…they told me they never even got it in. I was disappointed and also a little annoyed- why have the option to check if its not going to be accurate. So I was told to call first and not trust the website. So today I called a different location and she told me they had ONE left and would hold it for me. So I went and snagged it! Yay!! yay glad you got it! Enjoy! Love the swatches! I was already drawn to this palette but seeing the good reviews makes it harder to resist! How are the brushes? Usually I don’t pay attention to brushes included in a palette. the brush in this palette? I absolutely love your page! We have very similar tastes and I have yet to disagree with you. I picked up this palette and it is to die for. I’m happy to see reds becoming more popular and I also enjoy the matte shadows. I told myself I was going to stop buying eyeshadow, but I had to have this one! yay! so happy to hear Kayla! Thank you so much I’m so happy you enjoy Musings of a Muse! You’re welcome 🙂 after a week I can tell you this palette is totally worth it. Colors stay on all day. It’s fantastic. Loved your review! So glad I found it, my palette arrives tomorrow (finally my we had a delay here in Europe) and I’m so excited to try it! Thanks Rime! 🙂 Yay! Enjoy it! I hope you love it! Pretty colors but too much reds and oranges. Not really what I wear. Buon Fresco is gorgeous and a must have for me though. No idea?! Sorry! I imagine they will as they typically do seasonal releases! I absolutely LOVE this palette and I will go out on that limb and say this is my favorite palette of ALL time. Most palettes each season are just the same old colors over and over again, just marketed and packaged differently. This is totally different. And the orange/red colors make my blue eyes pop! When I wear these colors people ask me if I have color contacts and I have never been asked that question before. I would agree with the Muse that the shadows are buttery soft and there is a little bit of a powdery kick up, but very little fall out. Very easy to bland I am obsolutly enjoin this pallet ! I love this Modern Renaissance palette! I don’t think I’ll buy another eye shadow for the next two years (lol, let’s see!). I’ve used every shade in here, although I must say the least used one would have to be Buon Fresco. I have medium skin so the color shows more of a gray tone than lavender on me.